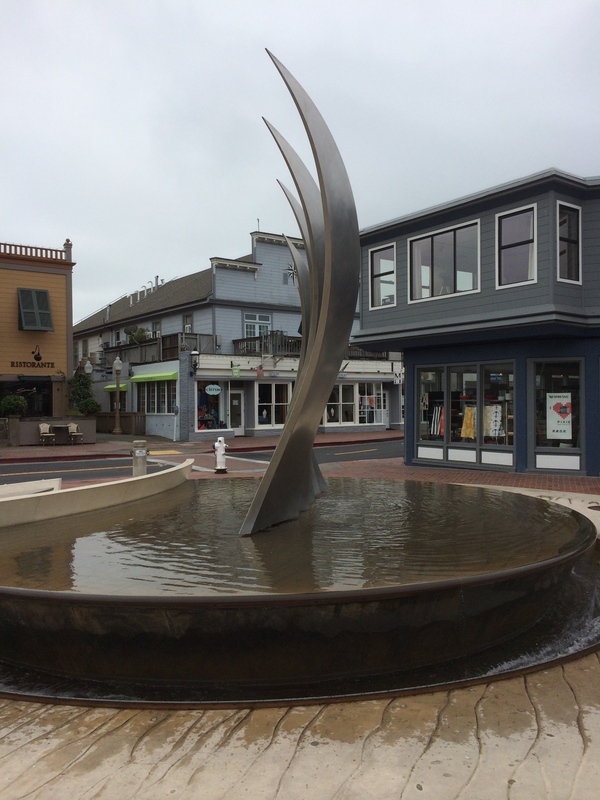 Took a quick business trip to Tiburon, California this week. 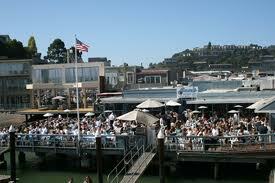 When I was in my 20s, my girlfriends and I would go to Tiburon Sam’s for Sunday brunch. It was a fun place to go. Here’s a pic I stole from the internet so you can see for yourself. 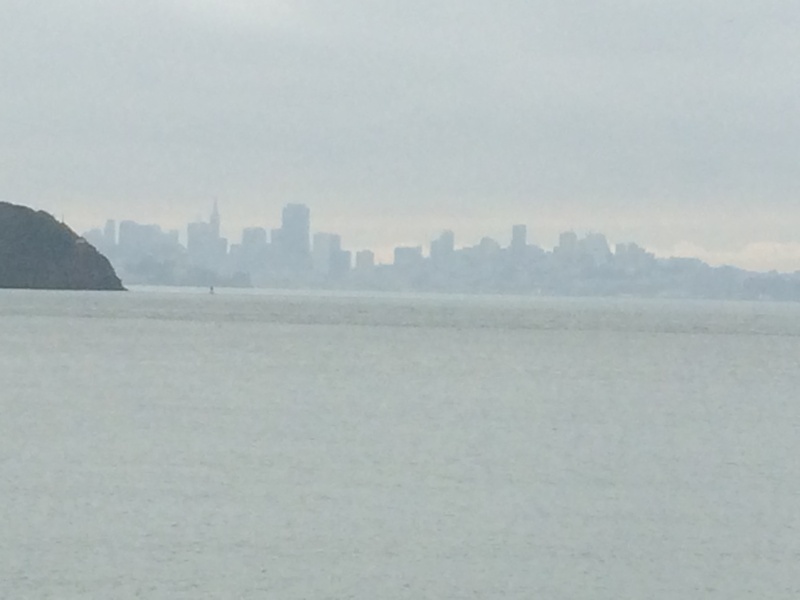 When you lived in San Francisco and were young, there was nothing like a ferry ride to Tiburon for brunch. Back then it was more rustic than Sausalito, although Sausalito was pretty fun too. Heck, at 23 it’s all fun, right?? Now, many years later (like too many to count), I was back in Tiburon, where I was haunted by the Ghost of Brunches Past who brought along the Ghost of July 4th Past. The ghosties and I had a lovely time reminiscing together. On one particular July 4th, my friends Wendy, Susan, Karen and I hooked up with Wendy’s brother and a few other guys whose names escape me (I just remember I thought one of them particularly cute—obviously nothing came of it since I can’t even remember his name.) 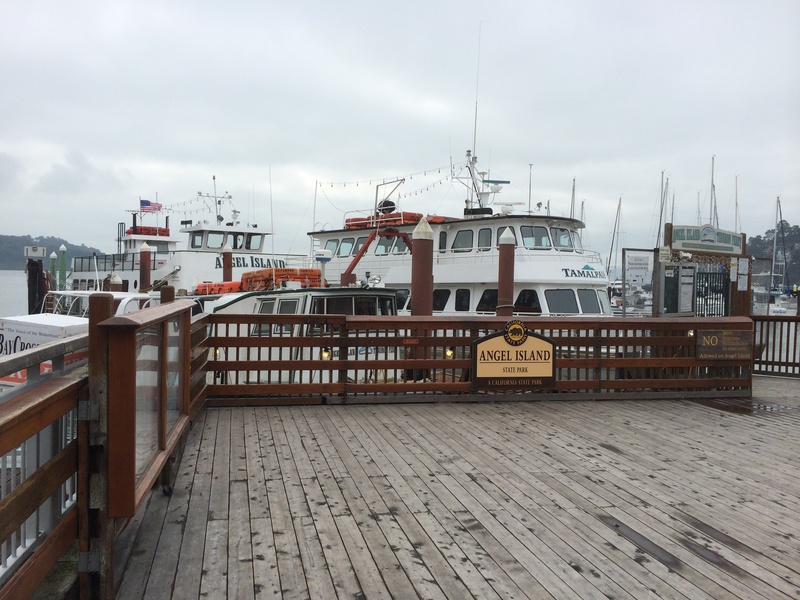 We met in Tiburon and took the Angel Island Ferry. (History Buffs: Angel Island was called the Ellis Island of the West. Google it…it’s fascinating…here’s a link to get you started: http://www.angel-island.com/history.html) We stayed all day, hiking, picnicking, playing frisbee and drinking whatever the men could fit in a cooler. I think they were in charge of beverages. We ladies brought the food, the Ghost of July 4th Past reminded me. It was a beautiful day. Not foggy as some July 4ths want to be. On the contrary, it was warm and sunny. I actually went swimming. We wanted to stay and see the fireworks, but the last ferry left before then. We thought about hiding out on the island, but then realized that it would be cold at night and we really weren’t prepared for that. I’m rather impressed with that. Apparently someone in the group had still maintained the ability to be reasonable. Full of happy, shallow thoughts and with a contented sigh, I kissed my ghosts good-bye. They booted me back into the present. It’s wintertime and not crowded. The clouds are threatening to leak a bit. San Francisco, that saucy wench, was hiding behind some misty veils. The ferries are docked. No trips to the island today. 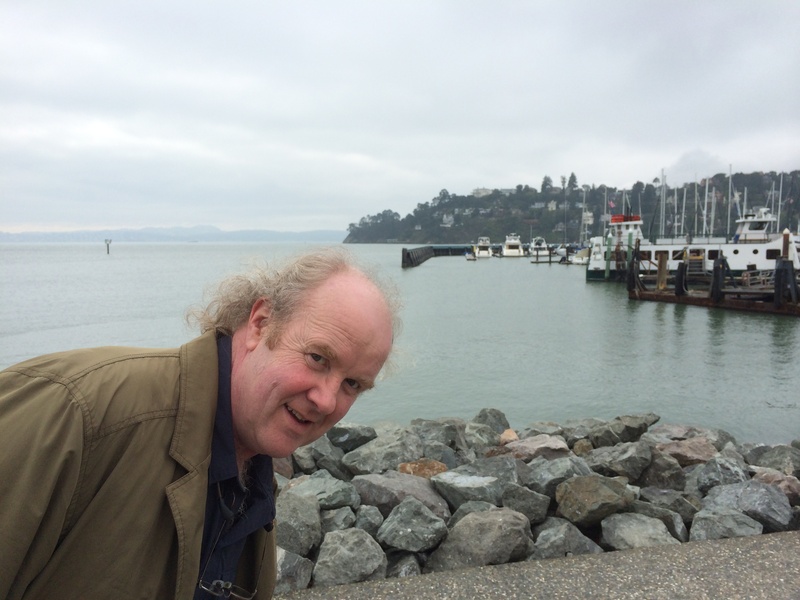 After an omelet breakfast at the Tiburon Hotel where we stayed, we took a stroll and some pictures. (photo bombed by Mr. Al. 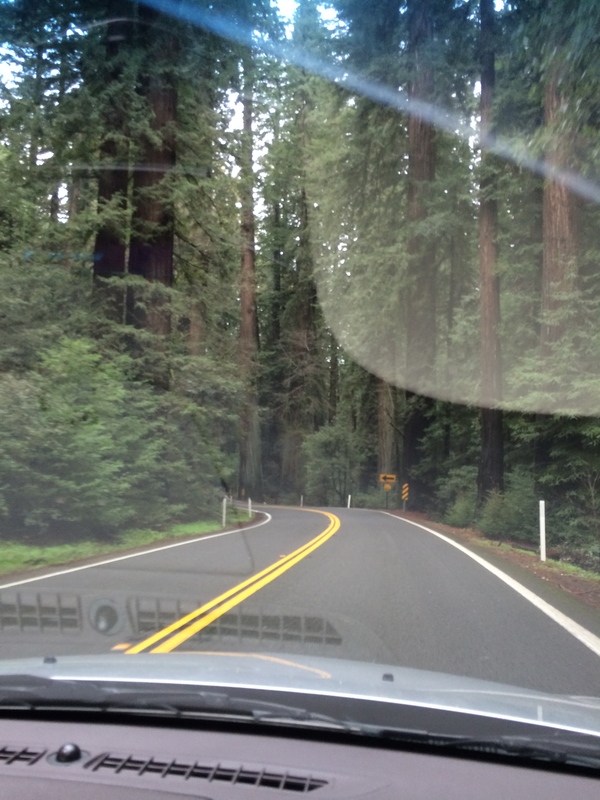 He loves to do that) and made our way back behind the Redwood Curtain. I love the drive north. Feel like I can start breathing again. Enjoy your Sunday cup of coffee, peeps! I leave you with a parting thought…. 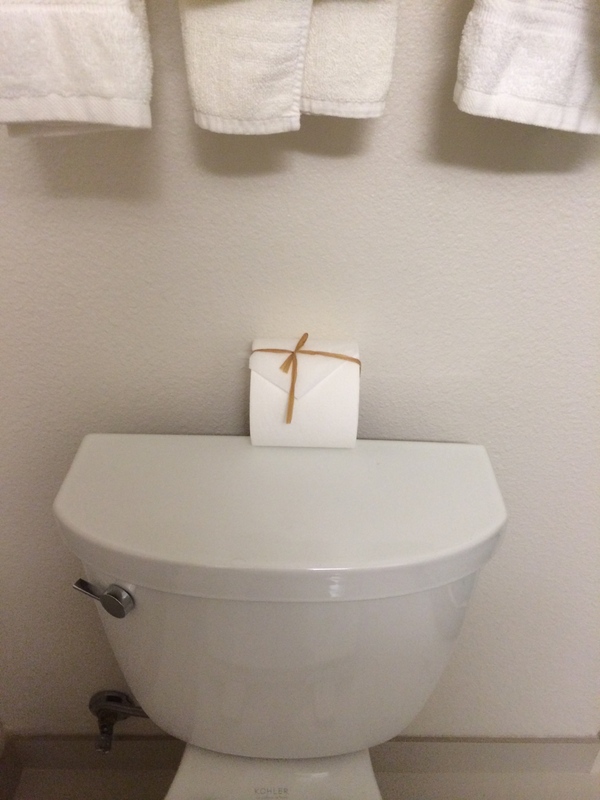 Somebody was told to tie the twine around the toilet paper. Somebody else did it and, hopefully, was paid for their efforts. Loved the nostalgia! It triggered a completely different journey down memory land for me. But your nearly-home shot was (no surprise) my favorite. Tears…. thank you for the jaunt down memory lane….. I was not the one left with the ability to be reasonable… that I do remember ! Once again, your writing is awesome and as always, you have made my day. I appreciate that, Wendy! And you! Previous Previous post: Happier Morning Coffee.